At this Wednesday's meeting, we had 15 members present as well as our guest speaker, Dale Albertson. Tina is doing the Rotary Moment this month. She will be talking about Rotarians she has met that have had an impact in her life. She told us about Connie M. Deford, whom she met at a seminar. Connie a retired City Clerk of Bay City, Michigan. She was voted Michigan City Clerk of the Year and was the recipient of the prestigious Quill Award from the International Institute of Municipal Clerks, the Bay County Bar Association Liberty Bell Award, and the Michigan Municipal League Award of Merit. Currently, she serves as a Professional Registered Parliamentarian and meeting consultant. She is a Past President of both the Michigan State Association of Parliamentarians and the National Association of Parliamentarians. She serves clients throughout the United States. The hoopathon committee has reached out to the Vancouver and Yaletown clubs, both of which have expressed interest in joining our project. 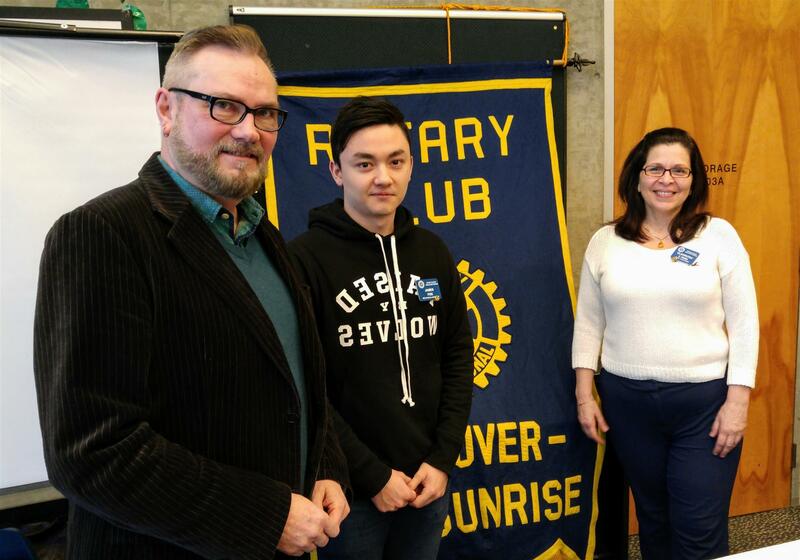 We are sponsoring 2 Rotaractors to attend the district conference in Whistler. Meeting - Our guest speaker today was Dale Albertson, who is an International Development Expert. He is the executive director of ACCES. the African Canadian Continuing Education Society. For more nearly 20 years, ACCES has been helping young Kenyans obtain the skills and education needed to benefit themselves and their society through: post-secondary scholarships; secondary scholarships; primary schools; health, gender and HIV/AIDS awareness; and small business and agricultural training. April 19 - Business Meeting.